Wasps can be very unwelcome visitors during your next late-summer barbecue. If you are experiencing a wasp infestation on your property, do not hesitate to hire a professional exterminator. A bug exterminator who offers professional bug and insect removal near Crystal Lake will be able to ensure that that the wasp problem has been eliminated from your home and property. After your wasps have been dealt with, you may have questions about how to prevent another infestation in the future. Let’s answer some of the most common questions about wasp prevention around the home and yard. How do I find wasps around my property? Wasp colonies live in nests, which can be found in many spaces around a home or property. Depending on the species of wasp that has invaded your home, you may find nests along your roofline, in nearby bushes, or even hanging from the branches of trees. Identifying potential nesting sites is an important step towards proper wasp prevention around your property. If wasps tend to nest in a certain tree or bush, you may want to monitor this area carefully. What are some methods for preventing wasp nests? 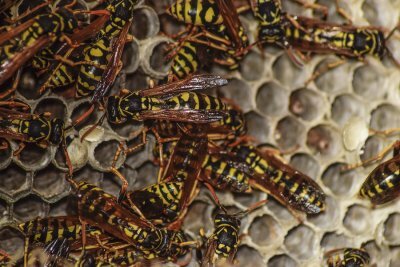 A wasp nest can be a major nuisance for any homeowner. To keep wasps from nesting around your property, you will need to make sure that your home does not provide any inviting spaces or surfaces for the colony to start building their home. Around your house, you can prevent wasps by fixing broken screens and caulking small holes in your window or doorframes. What do I do if I find a wasp nest? Eliminating a wasp infestation can be very tricky, as wasps are known to sting when they feel that their home is in danger. To safely remove wasps from your property, you should always call in a professional exterminator. Your exterminator will have the correct protective equipment and tools that should be used to perform the removal. 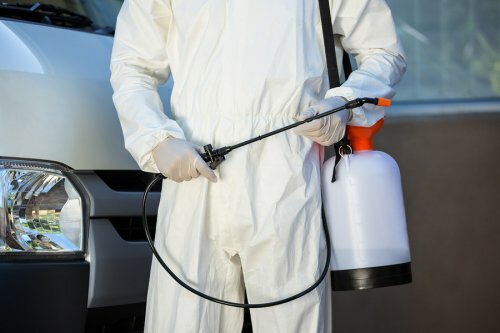 After the nest has been extracted and the colony has been eliminated, your exterminator can provide you with additional tips that will help you to prevent a new infestation. At Schopen Pest Solutions, our pest removal team will be there to help you eliminate any type of infestation that may be plaguing your home and yard. Whether you are dealing with mice and rodents or bothersome insects, you can trust our pest control company in Crystal Lake to safely and effectively eliminate the issue. When you first call us to set up pest management services, our team will sit down with you to create your custom pest removal plan. The first step of scheduling pest removal with our company is to set up your initial service. During this initial service, our team will survey your home and property to determine the source of your pest problem. After the issue has been diagnosed, we will be able to provide you with detailed information about your treatment options. If you would like to set up an initial pest control service for your home today, you can visit our website or give us a call. A bee sting can be a painful experience for any member of your family. In this video, you will learn some important tips for treating a bee sting. After cleaning the sting with soap and water, use tweezers to remove the stinger. To prevent bee stings from occurring on your property, schedule a professional bug removal service in Crystal Lake. A bug exterminator will be able to remove bees, wasps, and other stinging insects from your property. If you or a loved one is allergic to bee stings, it is particularly important to set up professional bug extermination services for your home. Removing bees from your yard will help you to create a safe and inviting space for every member of your family. Throughout every season of the year, you may need extermination services that are designed to target seasonal pests . The summer months are when many homeowners experience frequent pest management issues on their properties. With services from a bug exterminator in Crystal Lake, you will have no problem protecting your home from mosquitoes, rodents, spiders, and other pests that tend to appear during the summer months. 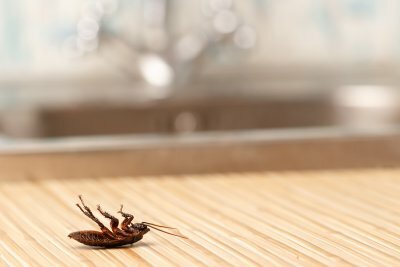 To help you keep your home pest-free during the coming season, here is a look at common summertime pests and how to avoid them. Wasps are among the most dreaded insects that can come out of hiding during the summer season. In the state of Illinois, single-cone wasps will become very active throughout the peak of summer. During the months of July and early August, you may start to notice these wasps building their nests around your property. 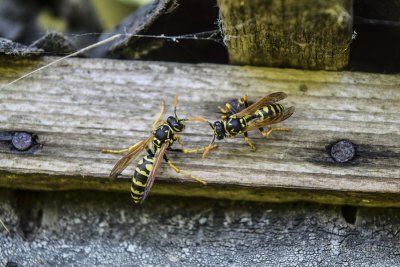 Since these pests can have dangerous and painful stings, it is recommended that you deal with your wasp infestation by hiring a bug extermination professional. When you are outdoors enjoying time with your family and friends, a mosquito infestation can quickly ruin your fun. The warmer temperatures that occur during the summer months provide mosquitoes with the perfect conditions to hatch and spread. A colony of mosquitoes can transmit deadly diseases, so it is very important to act and exterminate any mosquito colonies that take up residence in the areas surrounding your home and property. Carpenter ants get their name for their preference to burrow through wooden materials. If a carpenter ant colony targets your home, the wooden structures around your home could become severely damaged. If you see large, brownish black ants swarming around your home, this could indicate a carpenter ant problem. Fortunately, your professional bug extermination team will have the knowledge and services needed to remove your carpenter ant problem and keep your home free of pests for the entire summer season. Could You Recognize a Brown Recluse Spider? The brown recluse spider is among the most dreaded and dangerous members of the spider kingdom. This video will provide you with the information that you will need to identify a one of these spiders in your home. Brown recluse spiders can be identified by their distinctive, violin-like markings and set of 6 eyes. A spider exterminator near Crystal Lake can safely remove this deadly pest from your property. If you are worried that you may have a spider infestation, you can rest assured that your exterminator will be there to assist you. 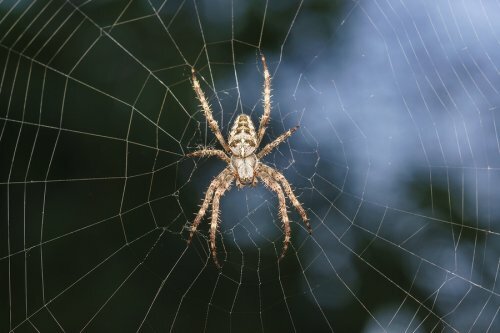 Using proven methods and materials, a professional spider extermination company will be able to get rid of your deadly spider problem for good. Is Your Kitchen Vulnerable to a Pest Infestation? Has your home required pest removal in Crystal Lake? If so, then you may be wondering what steps you should take to avoid another infestation. 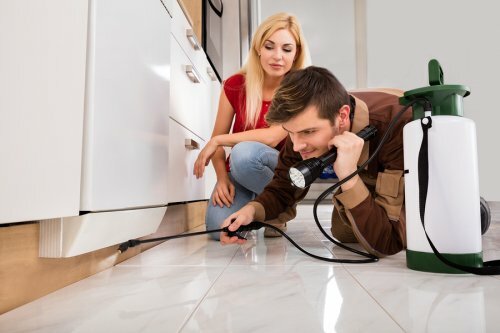 There are several recommendations that exterminators offer homeowners when it comes to practicing good pest control and keeping their home free of unwanted visitors, many of which involve the kitchen. Read on to learn if your kitchen might be vulnerable to a pest problem. Keeping your kitchen surfaces free of food and crumbs isn’t always easy, especially if you have a busy household. However, ensuring that your counters, pantry shelves, and floors are free of food is one of the best things that you can do to make your kitchen less appealing to pests. Avoid leaving food and leftovers on the counter, pick up pet bowls after each feeding, and clean up pantry spills right away to make your kitchen less vulnerable to bug and rodent infestations. When it comes to practicing pest control and prevention, the pantry is an important place to consider. It’s in this space that most people store the bulk of their food that isn’t kept in the refrigerator or freezer, making it an attractive location to bugs and rodents. Ideally, all your dry goods would be stored in containers that are air-tight and rodent-proof. When you keep food items in their original packaging, it’s often easy for bugs to make their way in, and rodents can chew through the types of packaging that many pantry goods are sold in. The much-despised chore that is taking out the trash is essential for pest-proofing your kitchen area. The longer that you leave food waste in the trash container, even one with a closed lid, the more likely you are to attract bugs and rodents to your home. To help make your kitchen less vulnerable to pest infestations, take out the trash every night and store the bin covered or inside of a cabinet. When you start to notice the signs of mice and rodents in your home, you will want to call a reputable exterminator right away. By working with Schopen Pest Solutions , you can rest assured that you will receive the best possible pest management for your home. During your initial service, our rodent removal team will take the time necessary to explain our techniques and provide you with additional information about our methods. We will make sure that you are fully prepared for your rodent removal in Crystal Lake. There are a few factors that you will want to consider when you are preparing for an initial pest service from our exterminators. First, it is important to note that your initial service will typically take about 1 hour to complete. You can also expect a thorough explanation of any treatments or services, before they are applied to your home. Our team of pest control professionals will make sure that you are completely satisfied with the results of your pest control services. Do Mice Really Like Cheese? A common myth about mice and rodents is that these furry pests are attracted to cheese. In fact, rodents find many types of cheese completely unappealing. When you check out this video, you will learn more about the myths surrounding mice and cheese. If you want to achieve proper mouse control near Crystal Lake , you may have better success if you bait your traps with grains, fruits, or sweets. To ensure that your mouse control problem has been completely eliminated, you should work with a pest control company that specializes in rodent elimination. 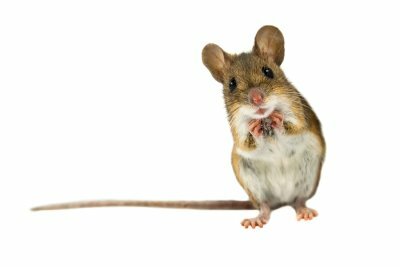 Your exterminators will have extensive knowledge about mice behaviors, and they will be able to choose an effective method for dealing with your rodent issue. Keeping rodents out of your home can help protect the health of your family and the integrity of your property. If you’re hoping to avoid the need for mouse extermination near Crystal Lake , then practicing good pest control is key. Continue reading for some simple mouse prevention tips. One of the easiest ways to attract pests to your home is to provide them with a food source. For this reason, any food that is not kept in your freezer or refrigerator should be stored in airtight containers, and this goes for things like bird seed and pet food as well. Also, pet food bowls should be emptied and cleaned once your pets have finished their meals. Outdoors, check your garbage cans to ensure that their lids are working and kept latched and that their bases are free of holes. As with food, the availability of water on your property is another factor to consider when it comes to mouse control. Crawlspaces, basements, and attics should be kept dry and well ventilated, and any leaky pipes or plumbing fixtures should be addressed. Many homeowners don’t realize that leaving debris and clutter around and against their home can invite unwanted guests. Mice and other rodents will happily take up residence in a pile of firewood, building supplies, or yard equipment. Because of this, you should keep things like this well away from your house by leaving a gap of at least 20 feet between debris and your home’s exterior. Additionally, look for any possible entry points into your home and seal these as part of the mouse control process. At the first sign of a mouse problem, give your local pest management company a call. Taking care of this problem early will make it easier to eliminate it and can reduce the amount of damage to your home. Remember, if you see one mouse, then there is a good chance that there are more.